Background: Opioids added to local anesthetics for peripheral nerve blocks may intensify analgesia and prolong analgesic and sensorial block duration. These agents may also cause potentiation and prolongation of motor block. Objective: This study compared the postoperative effects of 30 mL of 0.25% bupivacaine +50 mcg fentanyl and 30 mL of 0.25% bupivacaine + 100 mcg fentanyl solutions for the ultrasound-guided infraclavicular block in patients undergoing elbow and forearm surgery. Methods: In this randomized double-blind study, thirty-six patients with risk of ASA class I-III were randomly allocated into 2 randomized groups. Ultrasound-guided infraclavicular blocks with 30 mL of 0.25% bupivacaine + 50 mcg fentanyl for group 1 and 30 mL of 0.25% bupivacaine + 100 mcg fentanyl for group 2 were performed before patients emerged from general anesthesia. After surgery, pain levels at rest and during movement were evaluated using the 10-cm visual analog scale (VAS) at recovery room admission, at the 15th and 30th minutes in the recovery room, and at the 2nd, 6th, 12th and 24th hours postoperatively. Both morphine and rescue analgesic requirements were recorded. Sensorial and motor block durations, patient satisfaction, and complications related to the infraclavicular block were recorded. Results: In both groups, no significant difference in VAS pain scores, total morphine and total rescue analgesic requirements, duration of sensorial and motor block, or patient satisfaction were observed. None of the patients experienced any complications. Conclusion: The mixtures of 0.25% bupivacaine + 50 mcg fentanyl and 0.25% bupivacaine + 100 mcg fentanyl showed similar postoperative effects. Nadeau MJ, Levesque S, Dion N. Ultrasound-guided regional anesthesia for upper limb surgery. Can J Anaesth. 2013;60(3):304- 320. doi:10.1007/s12630-012-9874-6. Senapathi TGA, Widnyana IMG, Aribawa I, et al. Ultrasoundguided bilateral superficial cervical plexus block is more effective than landmark technique for reducing pain from thyroidectomy. J Pain Res. 2017;10:1619-1622. doi:10.2147/JPR.S138222. Karakaya D, Buyukgoz F, Baris S, Guldogus F, Tur A. Addition of fentanyl to bupivacaine prolongs anesthesia and analgesia in axillary brachial plexus block. Reg Anesth Pain Med. 2001;26(5):434-438. doi:10.1053/rapm.2001.24675. Farooq N, Singh RB, Sarkar A, Rasheed MA, Choubey S. To Evaluate the Efficacy of Fentanyl and Dexmedetomidine as Adjuvant to Ropivacaine in Brachial Plexus Block: A Doubleblind, Prospective, Randomized Study. Anesth Essays Res. 2017;11(3):730-739. doi:10.4103/aer.AER_30_17. Nishikawa K, Kanaya N, Nakayama M, Igarashi M, Tsunoda K, Namiki A. Fentanyl improves analgesia but prolongs the onset of axillary brachial plexus block by peripheral mechanism. Anesth Analg. 2000;91(2):384-387. doi:10.1213/00000539- 200008000-00028. Paluvadi VR, Manne VS. Effect of Addition of Fentanyl to Xylocaine Hydrochloride in Brachial Plexus Block by Supraclavicular Approach. Anesth Essays Res. 2017;11(1):121- 124. doi:10.4103/0259-1162.186609. Vazin M, Jensen K, Kristensen DL, et al. Low-Volume Brachial Plexus Block Providing Surgical Anesthesia for Distal Arm Surgery Comparing Supraclavicular, Infraclavicular, and Axillary Approach: A Randomized Observer Blind Trial. Biomed Res Int. 2016;2016:7094121. doi:10.1155/2016/7094121. Bhardwaj S, Devgan S, Sood D, Katyal S. Comparison of Local Wound Infiltration with Ropivacaine Alone or Ropivacaine Plus Dexmedetomidine for Postoperative Pain Relief after Lower Segment Cesarean Section. Anesth Essays Res. 2017;11(4):940- 945. doi:10.4103/aer.AER_14_17. 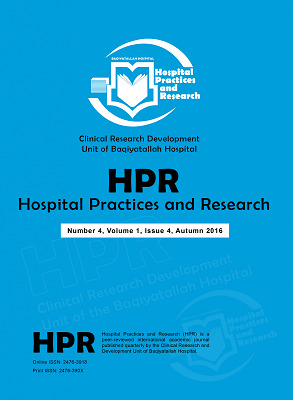 Hadzic A, Arliss J, Kerimoglu B, et al. A comparison of infraclavicular nerve block versus general anesthesia for hand and wrist day-case surgeries. Anesthesiology. 2004;101(1):127- 132. doi:10.1097/00000542-200407000-00020. Luyet C, Schupfer G, Wipfli M, Greif R, Luginbuhl M, Eichenberger U. Different Learning Curves for Axillary Brachial Plexus Block: Ultrasound Guidance versus Nerve Stimulation. Anesthesiol Res Pract. 2010;2010:309462. doi:10.1155/2010/309462. Dingemans E, Williams SR, Arcand G, et al. Neurostimulation in ultrasound-guided infraclavicular block: a prospective randomized trial. Anesth Analg. 2007;104(5):1275-1280, tables of contents. doi:10.1213/01.ane.0000226101.63736.20. Brull R, Lupu M, Perlas A, Chan VW, McCartney CJ. Compared with dual nerve stimulation, ultrasound guidance shortens the time for infraclavicular block performance. Can J Anaesth.2009;56(11):812-818. doi:10.1007/s12630-009-9170-2. Feierman DE, Klinkowitz E, Keilin C, et al. Chart Review of PACU Outcomes for Patients Who Had Ambulatory Shoulder Surgery with Peripheral Nerve Block (PNB) and General Anesthesia Compared to General Anesthesia (GA). Open J Anesthesiol. 2015;5(7):173-176. doi:10.4236/ojanes.2015.57031. Swain A, Nag DS, Sahu S, Samaddar DP. Adjuvants to local anesthetics: Current understanding and future trends. World J Clin Cases. 2017;5(8):307-323. doi:10.12998/wjcc.v5.i8.307. Chin KJ, Alakkad H, Adhikary SD, Singh M. Infraclavicular brachial plexus block for regional anaesthesia of the lower arm. Cochrane Database Syst Rev. 2013(8):Cd005487. doi:10.1002/14651858.CD005487.pub3. Kilka HG, Geiger P, Mehrkens HH. [Infraclavicular vertical brachial plexus blockade. A new method for anesthesia of the upper extremity. An anatomical and clinical study]. Anaesthesist. 1995;44(5):339-344. doi:10.1007/s001010050162. Lanz E, Theiss D, Jankovic D. The extent of blockade following various techniques of brachial plexus block. Anesth Analg. 1983;62(1):55-58. doi:10.1213/00000539-198301000-00009. Murphy DB, McCartney CJ, Chan VW. Novel analgesic adjuncts for brachial plexus block: a systematic review. Anesth Analg. 2000;90(5):1122-1128. doi:10.1097/00000539-200005000-00023. Vester-Andersen T, Husum B, Lindeburg T, Borrits L, Gothgen I. Perivascular axillary block IV: blockade following 40, 50 or 60 ml of mepivacaine 1% with adrenaline. Acta Anaesthesiol Scand. 1984;28(1):99-105. doi:10.1111/j.1399-6576.1984.tb02020.x. Vester-Andersen T, Christiansen C, Sorensen M, KaalundJorgensen HO, Saugbjerg P, Schultz-Moller K. Perivascular axillary block II: influence of injected volume of local anaesthetic on neural blockade. Acta Anaesthesiol Scand. 1983;27(2):95-98. doi:10.1111/j.1399-6576.1983.tb01913.x. Martin R, Dumais R, Cinq-Mars S, Tetrault JP. [Axillary plexus block by simultaneous blockade of several nerves. I. Influence of the volume of the anesthetic solution]. Ann Fr Anesth Reanim. 1993;12(3):229-232. doi:10.1016/S0750-7658(05)80645-8. Sert H, Muslu B, Usta B, Colak N, Irem Demircioglu R, Gozdemir M. A comparison of articaine and fentanyl-supplemented articaine for hemodialysis fistula creation under ultrasoundguided axillary block. Ren Fail. 2011;33(3):280-284. doi:10.3109/0886022x.2011.560502. Zainab F, Faruq MO, Talukder M, Yeasmeen S, Alam AS, Haque AF. Anaesthetic and analgesic efects of adding fentanyl to bupivacaine-lignocaine mixtures in supraclavicular brachial plexus block a comparative study with or without fentanyl. Bangladesh Med J. 2015;44(1):26-31. doi:10.3329/bmj.v44i1.26348.